Before you apply for Art on the Fox, please review the show requirements below. If you have any questions, please email or call the show coordinator at 224.725.6311 or info@jmfevents.com. NEW FOR 2018!!! You will be notified of your show acceptance within 10 days of applying for Art on the Fox. To apply for the show, you must first create an account by clicking on the button in the top right hand corner of your screen. You can then login and apply. If you are applying for two or more categories, work must be considerably different. Artist must still submit three photos from EACH category along with a booth photo. A separate jury fee is required for each category. All artwork submitted to the jury process, displayed and presented for sale must be original work by the accepted artist, work by employees or apprentices will not be accepted. Artist must submit a representation of current work. Commercially produced work including molds, mass-produced kits, embellished artwork, ready-made items or work produced for volume sales will not be allowed. Only artwork is allowed for sale in your booth. Commercially produced items will not be allowed for sale at the show. Booth spaces are 10’ X 10’ and work must be contained within the assigned space. All tents/canopies are required to be white and must withstand winds and rain. All tents/canopies MUST be weighed down with a minimum of 40 pounds per leg. Because the show site is located next to a river, winds can be strong! Take every precaution to ensure a safe booth for the attendees and other artists. Art Show representatives will be inspecting each booth to ensure safety is being adhered to. You may not infringe on another space physically or audibly. Artists must have a white tent unless exempted by festival director. Only juried artist may have work displayed in the booth. All booths must keep their area clean and orderly. Corner booths must either have the corner open or use the outside wall to display art. We will try to accommodate any special needs request but please be aware that we will not make any guarantees. We will make every effort to meet all special requests on a first come, first served basis. Additional charges may apply. Please include all booth requests on the registration form. During the art show, all exhibits will be visited by a festival representative to ensure that they are in compliance with our festival policies. It is the exclusive right and responsibility of the Festival Staff to call for the removal of work that is not in compliance with the festival policies and requirements. Non-compliance may result in expulsion from the festival or refusal of future festival participation. No smoking is allowed in artists booths. Art on the Fox is a drug and alcohol-free show, no exceptions will be allowed. Only artwork in the category accepted through the jury process will be allowed to be exhibited. Work that is not in compliance is subject to removal and can forfeit the artist’s booth space. Closing your booth prior to the end of the day will forfeit your space for the following day or upcoming Algonquin art shows (unless approved by the Site Manager). Sale signs and awards from other shows are not permitted. Artist acceptance into Art on the Fox is non-transferable. Each artist is responsible for collecting and remitting local sales tax to the State’s Department of Revenue as required by law. Artists will also be required to provide either an IL Business Tax Number (EIN) or a social security number which will be provided to the Illinois Department of Revenue. 3 photos of your artwork and 1 booth shot required. Each year, Art on the Fox recruits jurors based on their in-depth knowledge and experience of the arts. The show recruits new jurors each year to ensure we are using people with diversified art backgrounds and skills including artists, professors and teachers, gallery owners and museum directors. Jurors review all submitted artwork on an anonymous basis meaning they have no access to the artist’s name, location or pricing. The artists accepted into each category are based on their total combined score of the jurors. The top scoring artists are invited to participate in the show. 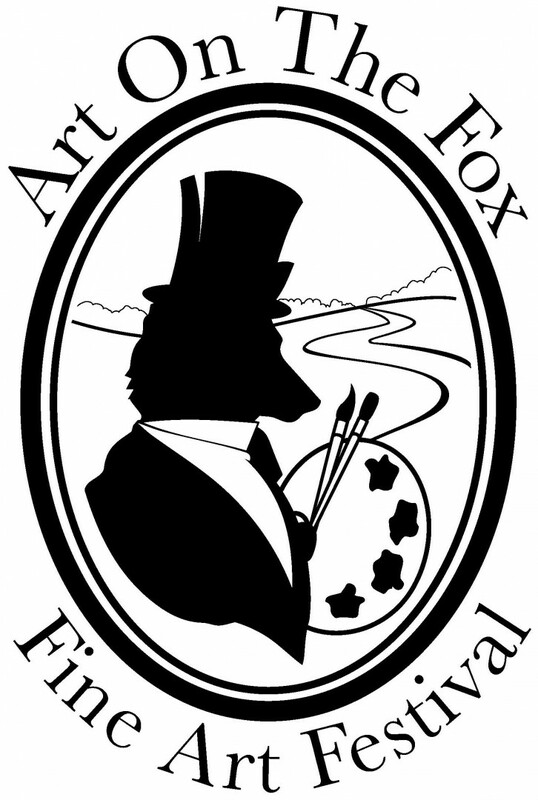 Once the jury process is complete, all artists will receive an email from Art on the Fox to notify them if they have been accepted into the show. Accepted artists will also receive a website link directing them to the payment location. Payments will go through www.artcall.org and will be processed through Stripe. Notification of status will be sent out by January 31, 2018. Accepted artists will be required to submit booth fee payment by the deadline date of February 28, 2018 for participation. If the booth fee is not received by the deadline date, the artist may forfeit his/her participation in the festival or a late charge will be assessed. 3D Nonfunctional Art – Art that serves an aesthetic not functional purpose. An Artist Statement describing the technique, materials, and processes used in the creation of your entire body of work must be included with each Art on the Fox show entry. Your Artist Statement may be used in the promotion of the festival through public relations efforts and should be no longer than a maximum of 1000 characters (including punctuation and spacing). A wait list is selected from the jury’s scores in each category, and waitlisted artists are invited as cancellations occur in that particular category. Waitlist artists can be accepted up to and on the day of the show and will be notified by phone and email when a booth becomes available. Cancellations must be made in written form and submitted by mail, fax, or email. Emails should be sent to the event production company at info@jmfevents.com. Through March 30 - Space fee refunds are given minus $30 administrative fee. May 2 – Show - Space fee is forfeited. Artists who have not checked in and/or notified Art on the Fox or JMF Events with a message via festival phone (224.725.6311) or email (info@jmfevents.com) by 7:00 am Saturday (first day of art show) will be considered a NO SHOW and the booth space will be forfeited with no refund. Security will be onsite Friday from 9pm through 7:30am Saturday morning and Saturday evening from 6pm through 7am on Sunday. While theft and vandalism is a rare occurrence at any Fine Art Show, it may happen and artists are reminded that Art on the Fox Fine Art Show, its sponsors or producers cannot be held liable by artists or exhibitors for theft that may occur during the event.